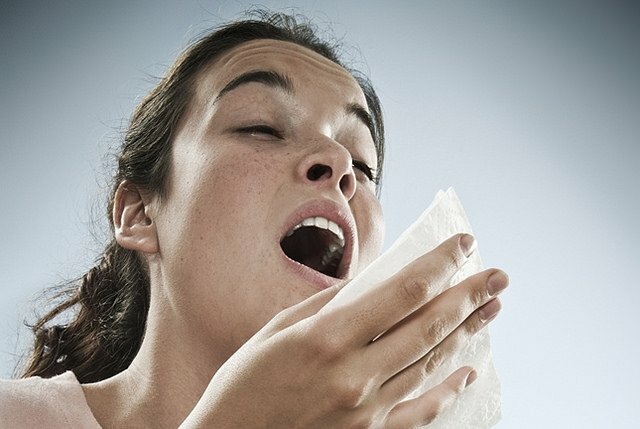 A worker can be exposed to various allergens commonly found in their workplace and this can result in adverse reactions that can the affect the eyes, skin, and respiratory system. For example, working in the agriculture industry can expose you to allergens such as animal dander, pesticides, and fumigants, while commercial industry can expose you to a substance called subtilisin which is found in detergents. Solvents in varnish and lacquer, nickel, platinum, and wood dust are what you can expect in a manufacturing setting. Latex that is found in gloves, dental dams, and tourniquets is a common allergen in the health care industry, and mould is common in an office environment. In a construction setting, dust, solvents, isocyanates in spray foam insulation and industrial coatings are the most common allergens. As an employer, it is your responsibility to keep your employees from these allergens as much as possible. In order to do that, there is what we call an exposure control plan (ECP) which utilizes four controls that effectively reduce risk factors in any workplace. Note that a specific ECP is not something you can apply to all workplaces and should rather be unique to each one. Elimination or Substitution – As the name suggests, in this option you look to fully eliminate the hazard by substituting any possible allergen with a non-allergenic material or at least a less allergenic process. Engineering Controls – Physical alterations to the machinery, facility, and operating procedures can also lessen the risk factors. You can check to see if the ventilation can be improved or if it is possible to isolate allergens from the employees as they work. Administrative Controls – This is where company policies, training and best practices can be utilized to provide knowledge on how workers can handle risks of allergens and what they can do to minimize exposure. Personal Protective Equipment – Although it is the least effective among the four, it is still very useful when paired with the other controls. You must not only require employees to wear respirators, eyewear, and other protective clothing but you must also make sure it’s working properly.